St. Albert, Alberta – At approximately 7:15 p.m. on Tuesday, January 29, 2019, St. Albert RCMP, along with St. Albert Fire Services and EMS, were called to a motor vehicle collision on Northstar Close between a 2005 Ford Taurus car and a 74 year old female St. Albert resident. The car, which was driven by a 62 year old female resident of St. Albert, had been turning left into the housing complex located on Northstar Close when it collided with the lady who was crossing the intersection using a walker. The victim of this collision was transported to hospital with serious injuries that are not believed to be life threatening. This collision continues to be investigated, but road conditions and alcohol are not considered to be factors. While the cause of this investigation is still being determined, St. Albert RCMP would like to take this opportunity to remind all drivers that it is important to remain focussed and vigilant while driving. 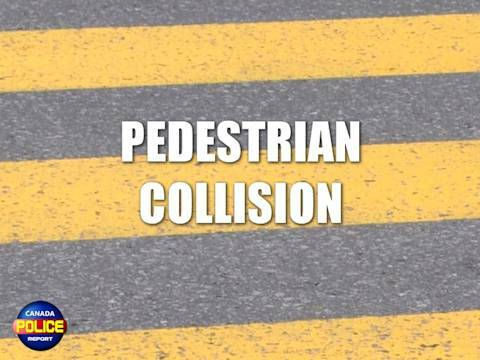 The St. Albert Traffic Safety Committee has analysed all collisions that occurred in St. Albert over the past year and have determined that the majority of collisions in St. Albert happen in intersections and are caused by distracted drivers. 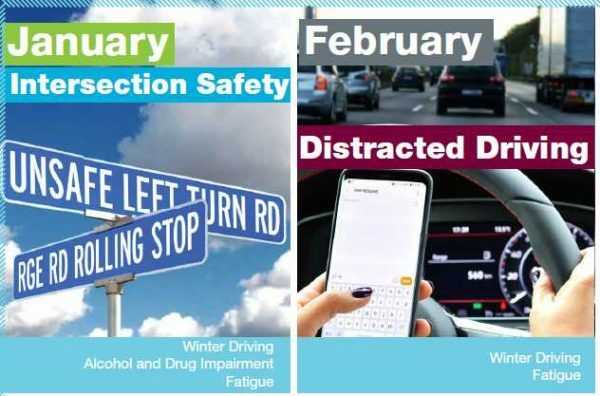 Because of this finding, St. Albert RCMP Traffic Services have focussed their enforcement duties towards intersections and distracted driving offences for 2019. The Capital Region Intersection Safety Partnership (CRISP), of which St. Albert RCMP Traffic Services is a partner, is committed to enhancing traffic safety in municipalities located within Alberta’s Capital Region, through sustained, collaborative and integrated evidenced-based intersection safety initiatives. CRISP defines distracted driving as a form of impaired driving because a driver’s judgment is compromised when they are not fully focussed on the road. Distracted driving qualifies as talking on a cell phone, texting, reading (e.g. books, maps, and newspapers), using a GPS, watching videos or movies, eating/drinking, smoking, personal grooming, adjusting the radio/CD and playing extremely loud music. Even talking to passengers and driving while fatigued (mentally and/or physically) can be forms of distracted driving. CRISP states on their site that studies have shown that drivers who use hand-held devices are four times more likely to get into crashes serious enough to cause injury. They further state that another Canadian study found that in 80% of collisions, the driver had looked away from the road 3 seconds prior to the crash. Even when drivers use a hands-free phone, they are less aware of the traffic around them. They tend to react more slowly to a critical event or worse — they may not detect the danger at all.